Audit for companies in various sectors, and charities. Kirsty began as an audit trainee at Grant Thornton; progressed her career at Clark Howes where she went from audit junior to audit manager during her 5 years at the firm and then joined Shaw Gibbs in October 2012 as a part-time audit senior. Kirsty has a degree in business & marketing and is qualified to ACA level. 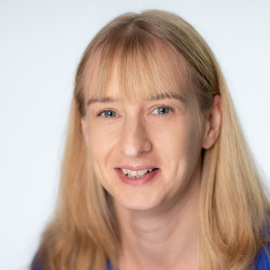 In her role, Kirsty is involved in carrying out audits for a wide range of sectors and companies of various sizes, using the latest software and techniques to ensure cost-effective and efficient service. She likes to work closely with clients and find out how their business functions. When not at work Kirsty loves to pay netball - although having a young child allows very little time for hobbies!